What do you think of having your property rented? Sounds like a good business idea, doesn’t it? There is a high demand for rental properties nowadays that starting your own rental property business seems like a very promising idea. Would you start this kind of business? And if you do, what would you actually do? You will need enough knowledge and expertise on how to run a business, especially one related to rental properties and other related things. It is also important that you have a rental property business plan to ensure that your business will be manageable and successful. 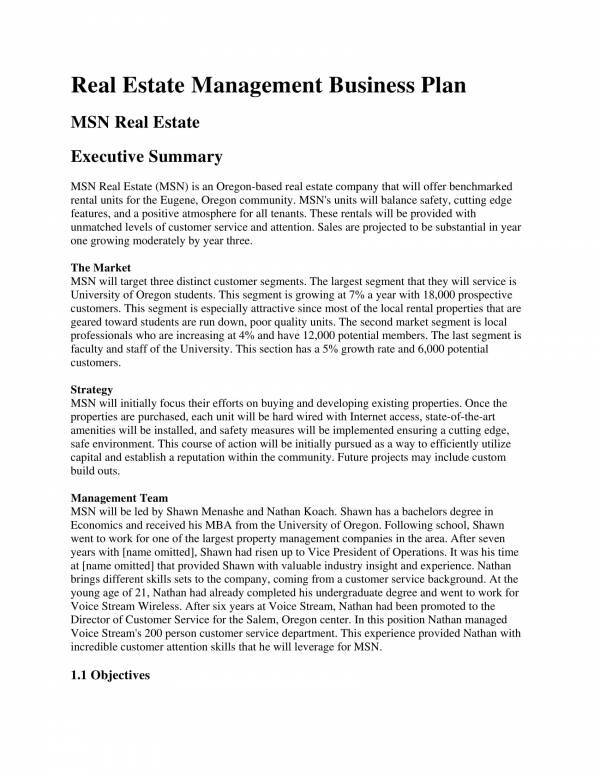 You may use the rental property business plan samples and templates in this article as your own or as reference. 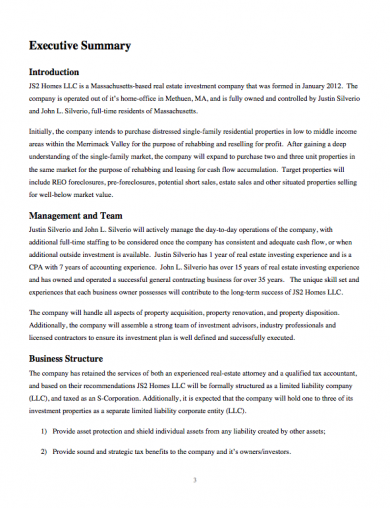 What Is a Rental Property Business Plan? 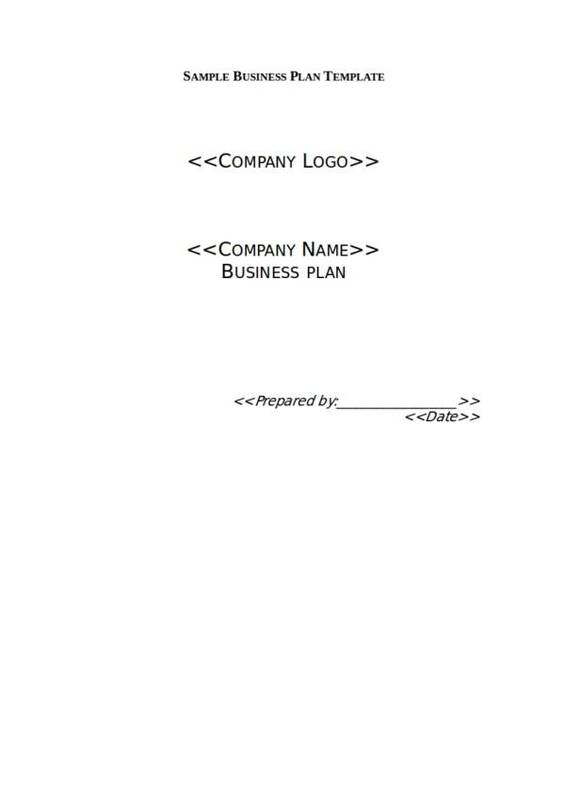 A business plan is referred to as a document that describes what a business is. 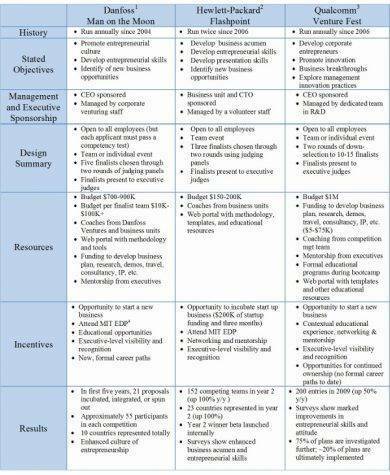 Included in its description are the main goals and objectives if the business, the industry under which they operate in, the strategies that they use to operate or manage the business, their sales, and their financial and marketing forecasts. Through a business plan, your ideas about a particular business can be clarified and soon visualized. A rental property business is just one of the many types of businesses that needs or requires a business plan. 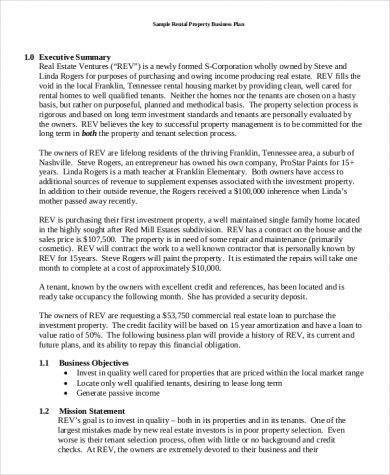 The business plan covers details that are specific to renting properties and other related businesses. 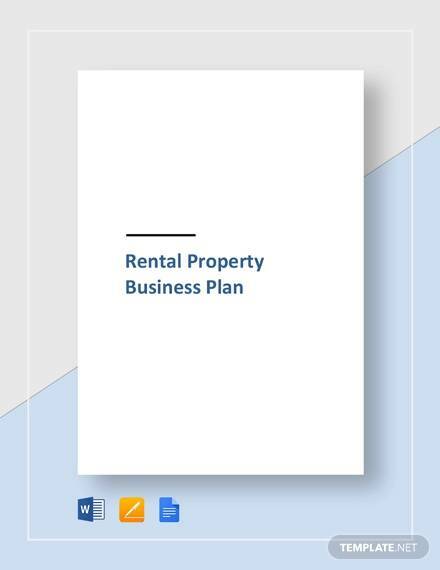 It is important for anyone who wishes to start their own rental property business and other related businesses to know about the uses of a business plan. What are these uses? We have gathered a lit of these uses below. A business plan is used to create an outline of the entire business starting from the big tasks and then breaking them down into smaller tasks. This makes it possible to start the business. With the use of a business plan, potential risks to the business can be identified so that an action plan or contingency plan can be provide both to avoid taking the risks and to minimize the risks. Starting a business is not only risky but costly. Through a business plan, both costs and risks in running and managing a business can be identified. This allows for a plan to be created to find alternate ways on how to lower costs and counter the risks. By creating a business plan, small details that may be missing are identified. Proper management and organization can also be prepared ahead of time when the business is planned appropriately. For you to consider yourself to be truly ready to start your own rental property business, it is essential that you know what it is as well as its uses. Other related articles you may be interested in are Business Plan Templates, Short Business Plan Templates, and Essential Parts of a Retail Business Plan. What does it take to be successful in a rental property business? What must you have and what do you need? Well, you just got yourself in the right article. Why? It is because we know some ways on how you can be successful in your rental property business. The factors that will help you determine who your target market should be include the type of property that will have for rent and its location. If you have a condominium unit in the heart of the city, then most probably your target market will consists single professionals, expats or small families. This is because it will be accessible for them to go to malls and other nearby establishments. 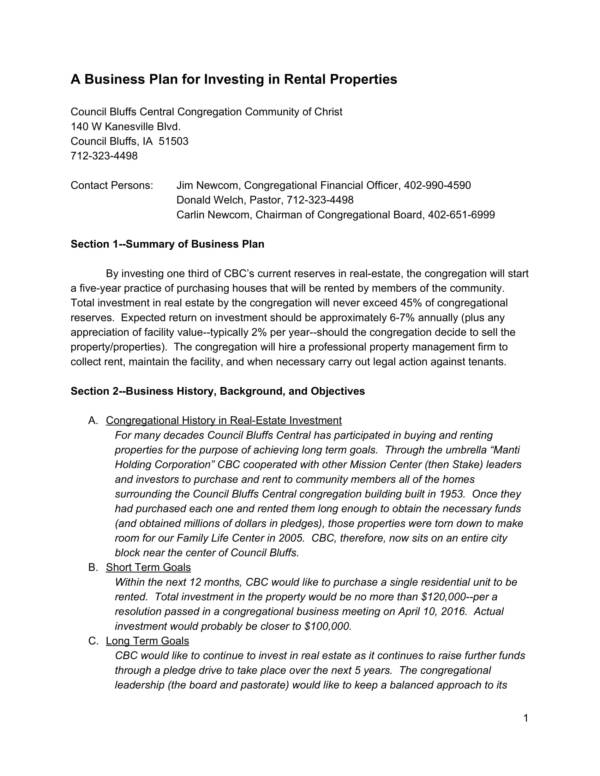 If the property you own is one that is intended for commercial use then your target market will consist of businesses needing a commercial space to use. Whatever property you will be having for rent, just make sure that you know who you should be marketing it to. You can’t start or run a business without setting aside a budget for it. Even big companies and other large corporations set aside a budget for their business. Why not do the same for your rental property business. What is this budget going to be used for? You need to be maintain the properties that you have for rent so cleaning services, repair services and renovation services should be done whenever necessary. It also works as an emergency fun when some parts of the property needs to be fixed or repaired, especially if it is something that may put your tenants at risk. Put your plan in writing. A written plan can be easily realized compared to that of verbal plans. With a written plan you will have something to review and check anytime you need to. And it is not just a business plan that you need to put in writing, you should also have your contracts and agreements in writing. All these are necessary for your business to run legally. This way confusion, disagreements and false claims can be avoided. 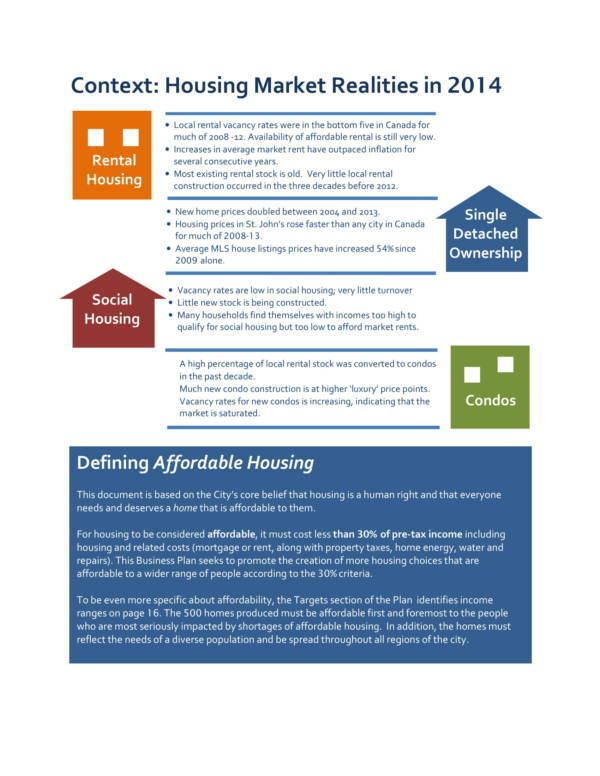 Know who your prospective tenants are. Before approving a tenant application, make sure that you do a thorough background check of the applicants. You can’t just accept applicants randomly. You need to do your part in selecting your tenants. Doing so will help you avoid any future problems, like late payments, damages in your property or having to pay for a large sum to get them evicted. It is an additional task that a landlord or owner must take and it may seem like a total hassle, but it is definitely worth it in the long run. Mind your business’ cash flow. You meed to keep track your cash flow. Your expenses for the business should not be more than the cost of maintaining and running it. If this happens then there is something wrong with your planning and it need to be corrected immediately before you become in debt with the maintenance of the business. A good cash flow means that your business is doing just fine and that it is generating the expected or forecasted business income. Be a responsible landlord or owner. 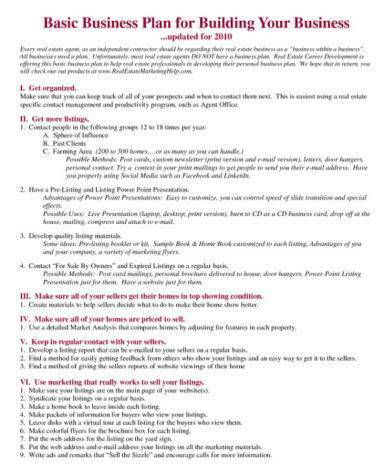 Do your part as the landlord or owner of the rental property. If you keep this in mind, your tenants will follow your example and they will also do their part as tenants in your agreement. You can prevent late payments, damages to your property and conflict with your tenants if you keep this mind. You will even more gain their respect and trust, which will lead to more tenant referrals. For you to be able to point out the needs of your tenants related to the property, like what must be fixed or renovated or maintained, you will need to conduct routine check to your rental properties. Provide a timetable or schedule of maintenance to each of your tenants and give them notice at least two weeks ahead of time. This will allow them enough time to prepare for it. 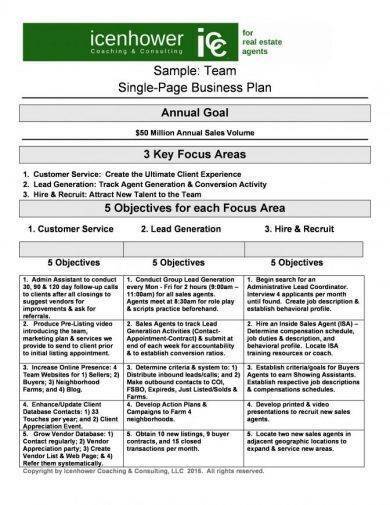 You may also want to check out other business plan related articles on our website, like Sample Restaurant Business Plan, Service Business Plan Templates, and Sample Bar Business Plans. A business plan is important because it is used as the basis for running and managing your business, aside from providing an outline of the structure of the business. Planning is the very first step when you want to do something and if you intend to increase the chances of being successful with it. A business plan will help build the foundations of the business as well as help in establishing good business relations with other related businesses. Another reason why a business plan is important is that it helps businesses demonstrate their commitment and road map to success. These are the primary things that investors would be looking for when selecting candidates to invest their money on. This is how investors will be able to tell if they have the same values with the business, if they share the same ideals with the business, and if they can profit from that business. It is very clear how important a business plan is both to starting business and to already existing businesses. There is no better way to manage and run a business than with the use of a business plan. We hope that you are able to learn something from this article. If you want to explore more about business plans and other plans in general, then you can check out our website. The topics we offer, include Elements of a Business Plan, Sample Professional Business Plan Templates, and Personal Business Plan Templates.